In 2017 Aesthetic Integration partnered with Goldman Sachs to help deliver the SIGMA X MTF Auction Book, a new orderbook venue implementing periodic auctions. Aesthetic Integration used Imandra, our own automated reasoning engine, to formally model the Goldman Sachs design of the SIGMA X MTF Auction Book, verify its key properties, and automate rigorous testing. Now that the venue is live, Imandra is being used to perform ongoing validations of trading operations. Whether you're writing mission-critical code (who isn't today?) or need to understand the countless complex decisions that a system may make, Imandra brings the latest advances in automated reasoning to your fingertips. Imandra was designed at cloud-scale, so whether you're working on a school project or the next Mars rover - we've got you covered. Imandra proudly supports ReasonML and OCaml. Historically, formal verification was reserved to highly specialised teams of PhDs at places like NASA. Imandra is changing this with unprecedented automation and interfaces to ReasonML and OCaml. Imandra has many advanced features, including first-class computable counterexamples, symbolic model checking, support for polymorphic higher-order recursive functions, automated induction, state-space decompositions and more. Algorithms are all around us. From legal contracts to system designs to corporate cap tables, we're constantly reasoning about what these algorithms can or cannot do. And when we can't keep up, bad things happen. Most real-world systems can be in a virtually infinite number of possible states. Imandra's deep symbolic reasoning can describe, analyse and explore these infinite state spaces, giving you unprecedented insight into what you're up against. Great technology needs great UIs. Download our VS Code plugin here. Today you'll find the usual suspects - syntax highlighting, type checking, interactive docs, etc., with the Imandra REPL available for IDE integration. Soon you'll have asynchronous verification, machine-learning powered assistance and much more, all available within VS Code. Need to add some reasoning to your product? Just use Imandra as an API! We're already working with a select group of companies on adding automated reasoning into their product lines. Soon, we'll open this up to the developer community at large. Email us at contact@imandra.ai if you have a great use case that will push our technology to the limit. we really should take it more seriously. When the algorithms we rely on are unsafe, unfair or inexplicable, the results can be catastrophic. Imandra is powering a new generation of tools for the rigorous design, analysis and governance of complex algorithms. Modern financial markets run on a multitude of complex trading systems, legal contracts, protocols, rules and regulations. The continuous stream of headlines with glitches in financial infrastructure demonstrate a dire need for a scientifically rigorous approach to designing, implementing and regulating these algorithms. We have pioneered (patented) application of automated mathematical techniques to address this need and are working with the leading financial institutions to bring unprecedented rigour to critical financial infrastructure. Distributed Ledger Technology shows promise in helping to fix some of the issues facing financial markets. However, as many high-profile costly DLT bugs have shown, the code running on such systems is very difficult to get right, and must be subjected to formal verification. In 2015, we pioneered the application of formal verification to DLT. In fact, we were the first to create a formal model of the Ethereum Virtual Machine, empowering Imandra to reason about the possible behaviours of Ethereum smart contracts. As new blockchain protocols and stacks are developed, Imandra is powering a new generation of tools helping to ensure the safety and correctness of these systems. As robots become more ubiquitous and complex, we need to understand and stay in control of what they can and cannot do. We have created an Imandra interface to Robot OS (www.ros.org), allowing you to leverage an existing widely popular framework and write code that you can verify for safety and correctness properties. The Imandra-ROS package is open source and is available here. 2. Providing a scientifically sound methodology for requirements traceability, backed by Imandra's symbolic reasoning and state-space decompositions. Imandra can be easily plugged in as a reasoning backend into many safety-critical toolchains. Modern hardware designs are incredibly complex and leading designers already rely on formal verification to ensure key aspects of their correctness. Imandra's embedding in a high-performance programming language (OCaml), first-class support for computable counterexamples, seamless integration of symbolic model checking and automated and interactive theorem proving (including automated induction, lemma-based conditional rewriting and forward-chaining, decision procedures for nonlinear real arithmetic and more), make it an ideal framework for the most demanding hardware verification tasks. Combining statistical and symbolic artificial intelligence (e.g. neural networks and automated theorem proving) is a longstanding deep problem in AI, one promising to pay enormous dividends to those who can scale it properly. We're working hard to crack this egg and make this combination a practical reality. One exciting current application: the use of Imandra's state-space decompositions to radically improve reinforcement learning. The effective regulation of algorithms is of paramount importance. The safety of shared infrastructure and protection of private information must be checked by governments and properly enforced. At Aesthetic Integration, we continue to be vocal about the need for government regulators to leverage deep advances in automated reasoning for powerful and cost-effective algorithm governance. Bad things happen when hackers know more about your web application than you. With GDPR coming online in 2018, companies can face fines as much as 4% of their annual revenue. With Imandra, you can bring the most rigorous software development techniques to bear on web development. Historically, computer science departments have often had a separation between theory and practice. Often, the mathematics underlying program correctness is restricted to upper theory courses, far removed from programming practice. It's time we change that! Imandra bridges this gap, allowing you to teach logic and formal verification in a real-world language that your students can apply immediately in a real-world setting. Imandra's automation allows students to verify deep properties of their code (and crucially, obtain counterexamples to their often false conjectures) long before they understand predicate calculus or induction! The computational modelling of chemical, biological and physical systems is a foundation of modern science, with much analysis happening from a stochastic or continuous perspective. The phrasing of the evolution of a system as an 'algorithm' is key. Automated reasoning can bring powerful new analyses to bear on such problems, especially when it comes to taming nontrivial discrete combinatorics of interactions. From drug discovery to CRN correctness, we'd love to help you apply Imandra to your deepest problems. Contractual agreements have a lot in common with algorithms. In fact, many contracts can be directly represented in a machine-reasonable way, making it possible to apply automated reasoning to understand their implications, edge-cases and potential exploits. Imandra's cloud-native automated reasoning APIs are the ideal foundation for building next-generation contract analysis tools. We'd love to help you get started! Need help with your induction hypothesis? Or, perhaps the installer is acting up? 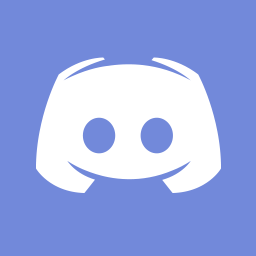 Let's figure it out together - join our growing community on Discord.